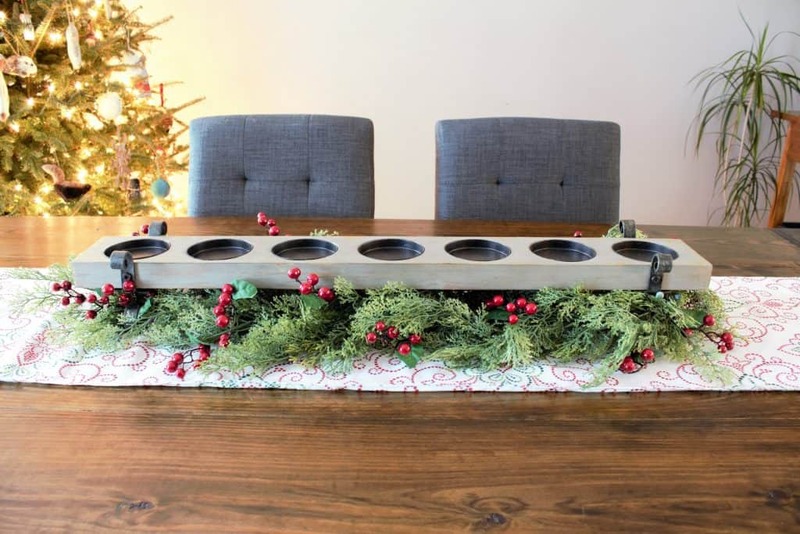 Christmas is just a few weeks away and I didn’t want to go another season without a centerpiece for my table so I did what I do best and made one. To be fair, I bought everything and put it together to make the centerpiece. So if you have no woodworking skills or tools, no need to worry, you can purchase the main component from Havertys or Amazon. 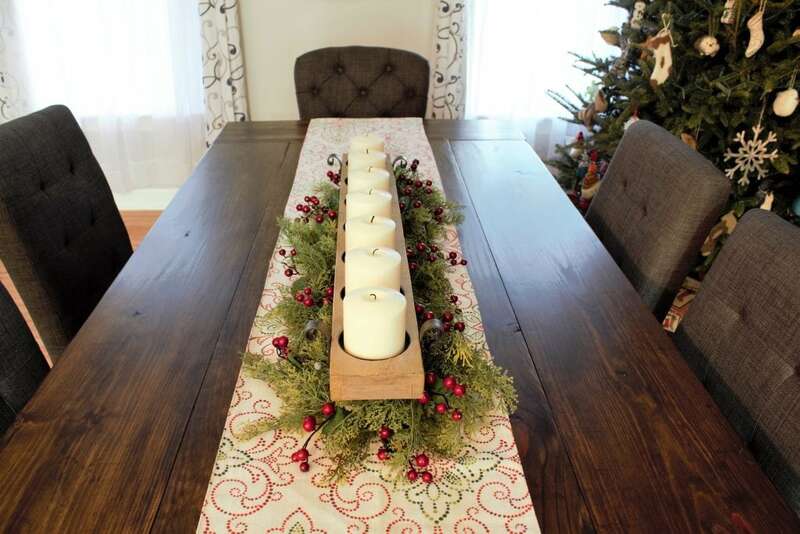 Keep reading to follow my steps to make this easy and inexpensive Christmas centerpiece in less than 5 minutes. Every year I hit up Havertys on black Friday. It’s a bit of a hidden gem for black Friday deals. They hand out gift cards to the first 40 people and the value ranges from $50 – $1000. I was able to use mine to get the wood and metal candle holder for free. Seriously, I didn’t pay a dime for it. You can get the exact one that I used from Havertys and even order it online if you don’t have a store near you. It is listed for $44 on their website but if you are looking for cheaper alternatives I’ve linked a few similar ones from Amazon below. 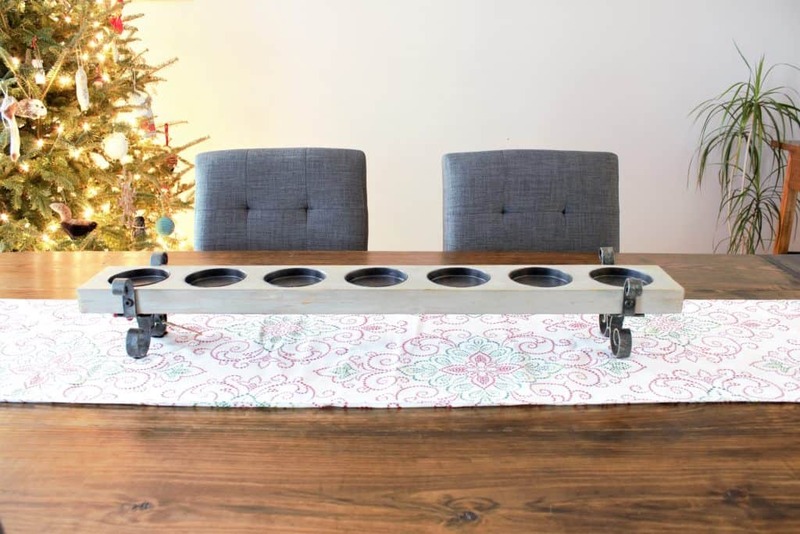 Note that I cannot comment on the quality of the candle holders from Amazon but the one from Havertys is great quality. Also, the one from Havertys takes pillar candles whereas the Amazon ones take votives. Keep that in mind when buying your candles. For the garland, I always recommend printing off a 40% off coupon and heading to either Michaels or Hobby Lobby to find one that you like. Arrange the candle holder so that it is centered on your table. 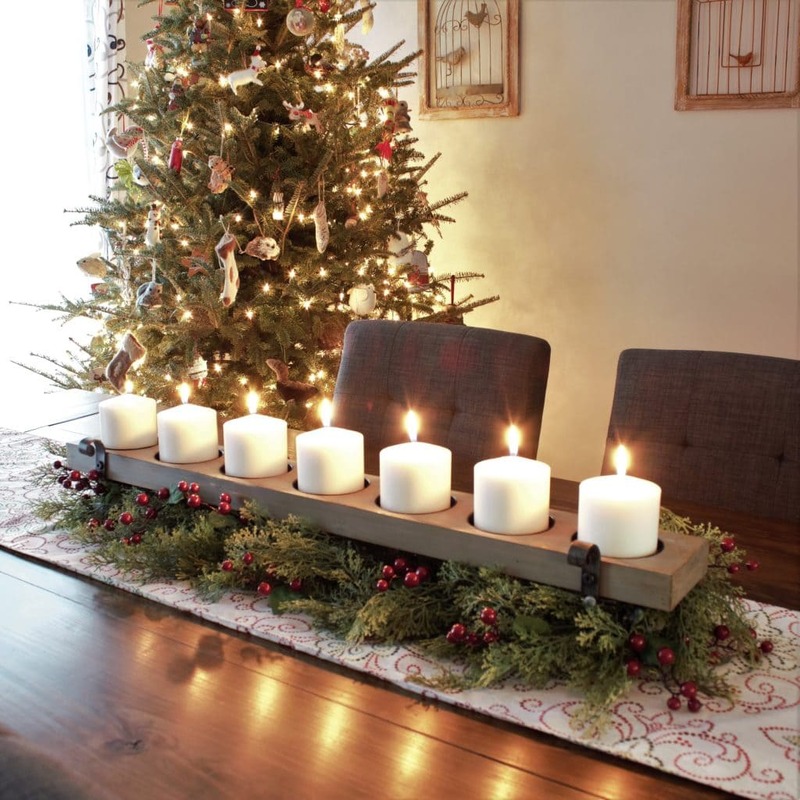 Wrap the garland around the base of the candle holder. 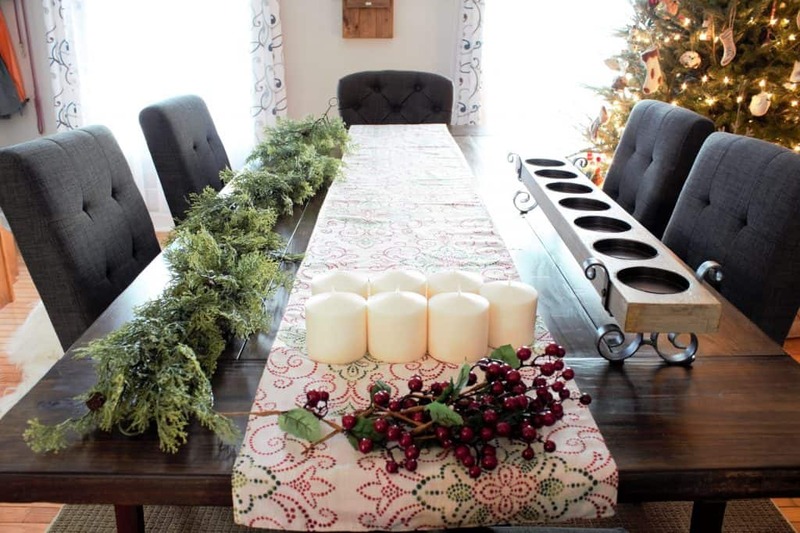 Add the red berry picks spacing them around the garland to fill the voids. 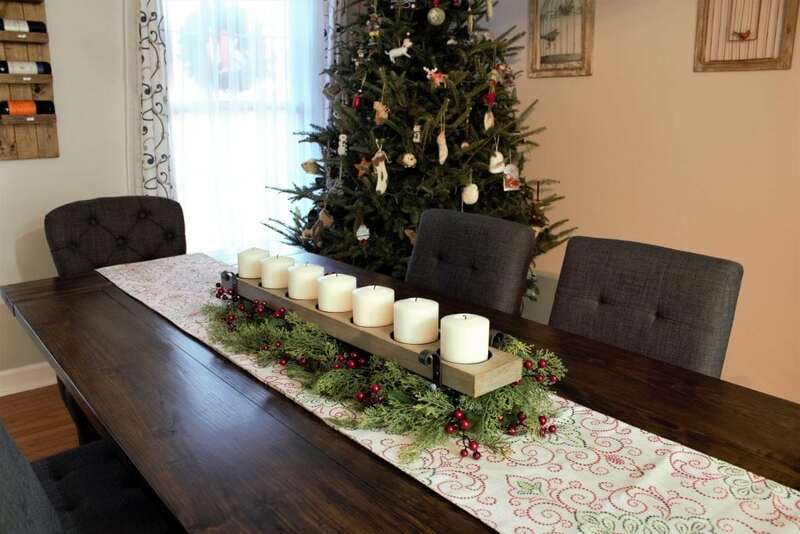 Be sure to place some at the top, middle and bottom to get an even overall look. Add the candles. 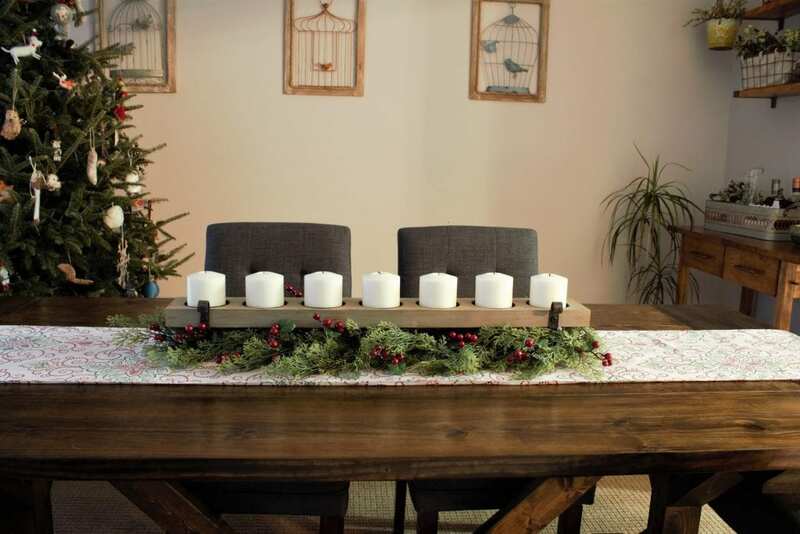 As I mentioned before, the candle holder from Havertys takes pillar candles. However, the ones that I linked from Amazon take votive candles. And that’s it! Seriously, I think you’ll spend most of the five minutes taking things out of the package. 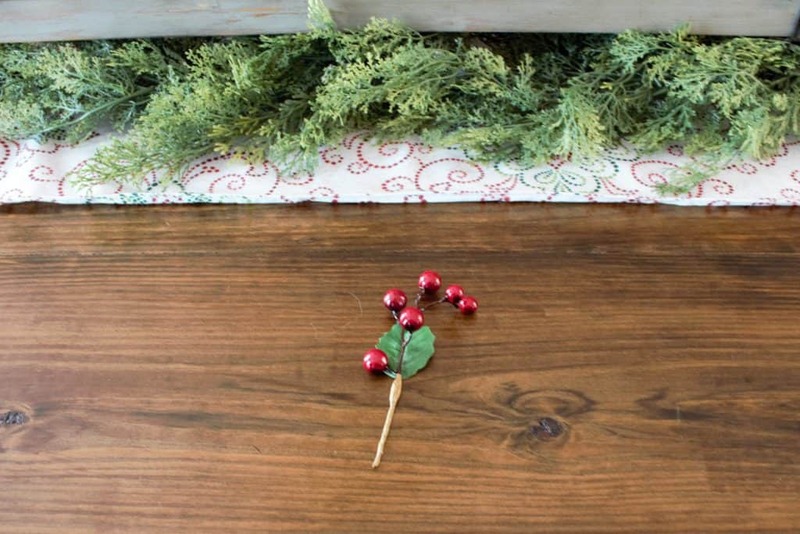 This centerpiece is insanely easy to make and it adds the perfect holiday flair to my table. 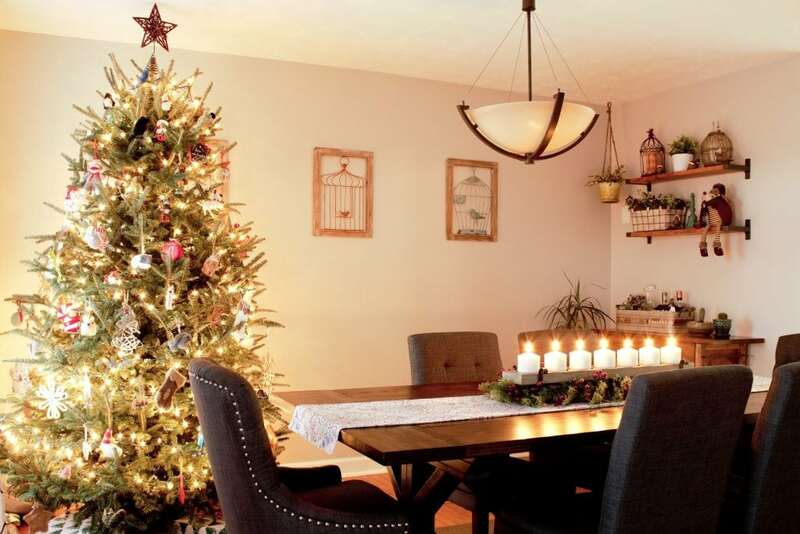 Here are some shots of my dining room with this beautiful centerpiece. 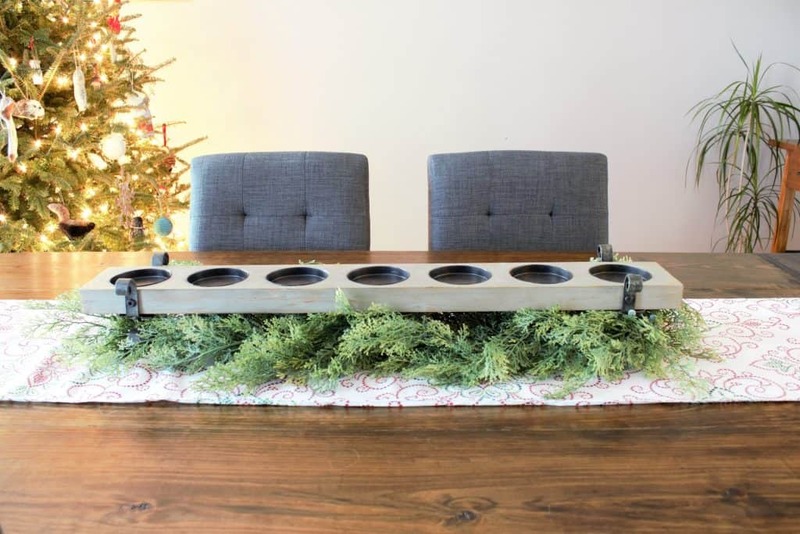 If you’re wanting to make a holiday/Christmas centerpiece of your own give this one a try. I promise you’ll love it. I think it would make an awesome gift as well. 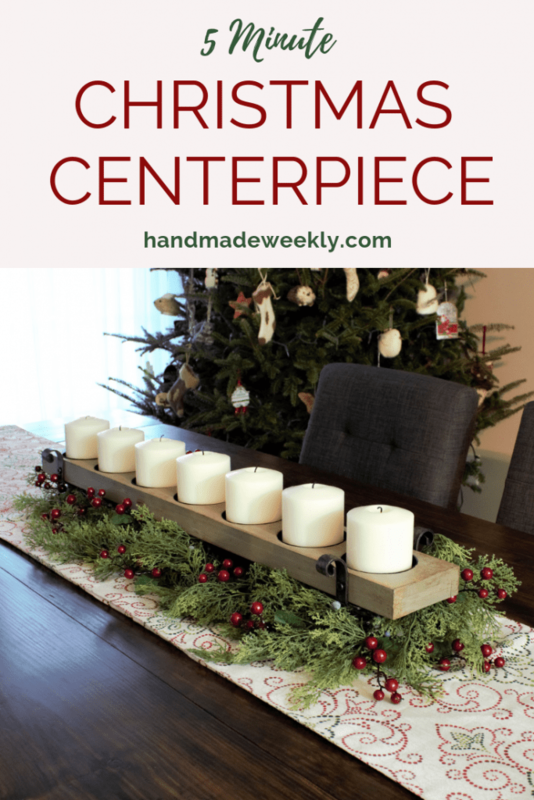 If you happen to make this centerpiece or any of my tutorials for that matter, please use #handmadeweekly on social media so that I can feature your post! Beautiful! 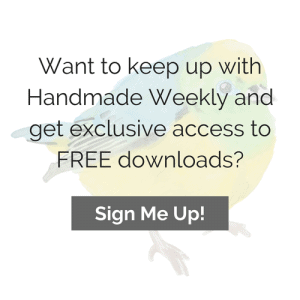 Pinned–also following you on Pinterest and Instagram. I love this! You did an amazing job! Thank you so much for sharing! That is so beautiful and I love how simple it is to put together. Pinned. Thank you. It is such an easy project. I may even leave it for spring and just change out the garland to something fitting. Wow! This looks so elegant. Thank you Aimee. I just love the way it turned out. Really beautiful and classic center piece. Thanks Jessica. I agree about the berries. They definitely make it a lot more festive.